It’s often more difficult to find just the right (free/or cheap) photo image to match your radio station promotion or news article. And, going out and shooting something yourself might not be an option. An alternative is creating something yourself from scratch. You can use Photoshop to do this, but your artwork will not be scalable in case the boss decides to display it on a billboard or create station shirts from it. Vector is the way to go. Vector art is created using vector illustration software programs, such as Adobe Illustrator or Corel Draw. These programs use mathematic equations and geometric primitives (points, lines, and shapes) to create art that is clean, camera ready, and can be scaled infinitely, without any loss of quality or fidelity. This means that no matter what size the image is, from small as a thumbnail to large enough for a side of a building, the image will always look sharp. We’ve put together a hand-picked guide of 10 free vector art resources, including various useful designs that you can download in preparation for future projects. Most of the vector images you’ll discover on these sites are free to use, but a few require an attribution of some kind. Always respect any required licence if there is one. 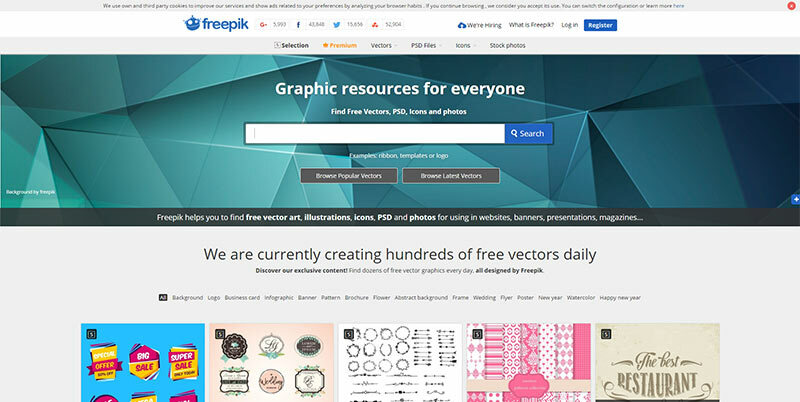 Freepik produces hundreds of free vectors daily and calls itself the “leading search engine of free vector designs”. 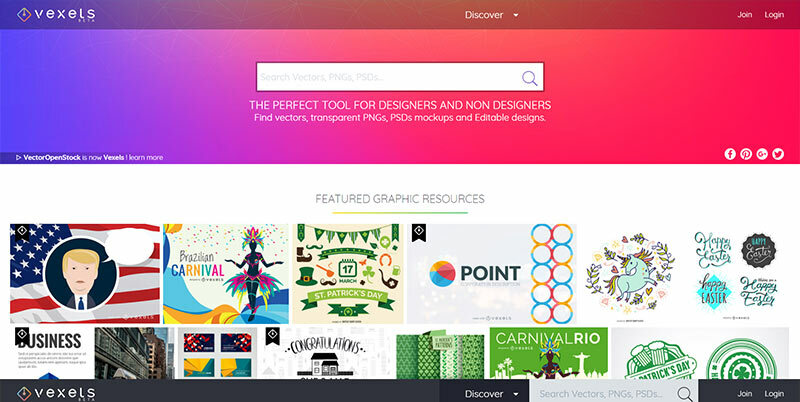 Created to help you find free vector art, illustrations, icons, PSD and photos which can be downloaded in AI, EPS and SVG format. This is one of the best free world map vectors and a good resource to have for future projects. 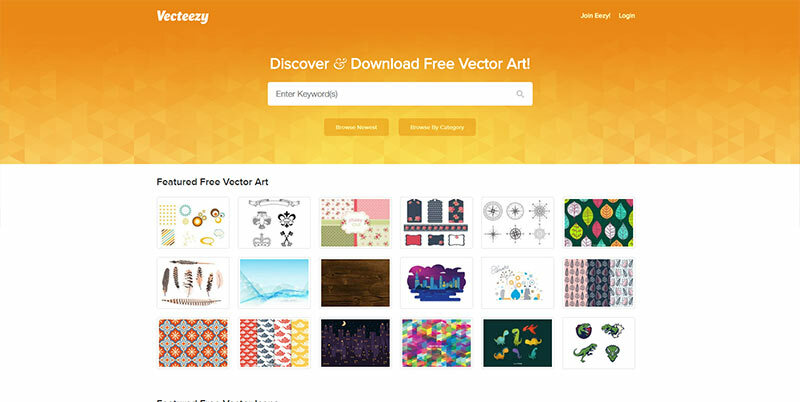 Vecteezy is a one-stop shop for finding any free vector art that you’re thinking of. The quality does vary though, so you may have to spend time finding something that you’re looking for. 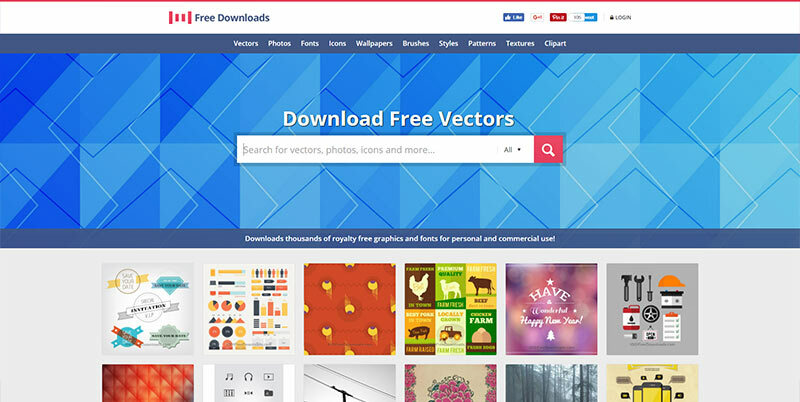 This site contains reasonably-priced vector images, but it also boasts a substantial collection of free vectors. They’re all available in EPS format, and it’s nice and easy to create an account and start downloading. 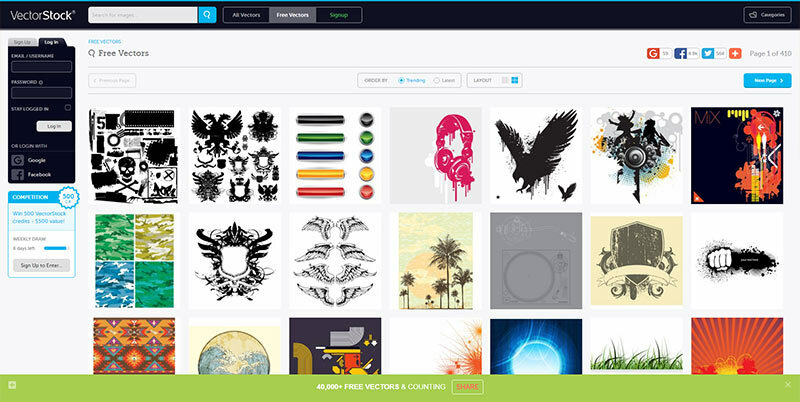 Previously known as Vector Open Stock, Vexels has over 13,000 free vectors including backgrounds, patterns, logos, etc. There are more free vector graphics being added everyday. 1001FreeDownloads is a quick and easy to use with thousands of free vectors alongside photos, brushes, gradients, PSDs, fonts and more. It won’t take you long to find the vector or photo you want. 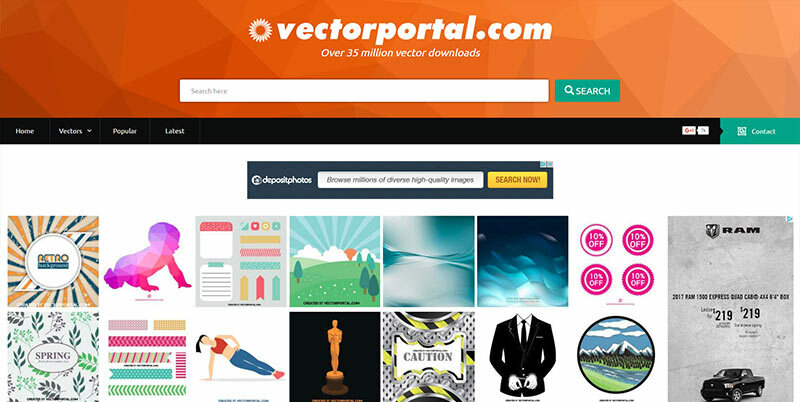 Vector Portal offers a wealth of free vector art, which designers can use in both personal and commercial projects. Easy to navigate, you can filter your search using the drop down category box or search bar. With an extensive library of artwork, you’re sure to find something of use here. 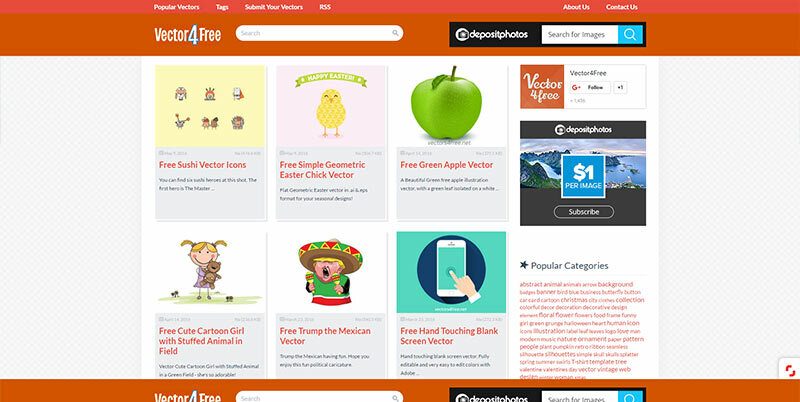 With just over 1,500 free vectors, the collection at Vector4Free is much smaller than many of the other sites featured here. However, the quality is pretty consistent and everything is well tagged so it’s easy to find what you’re looking for. All the featured vector images are free for personal use (or inner office stuff that’s not public), but check before using them on your station website or within printed materials. 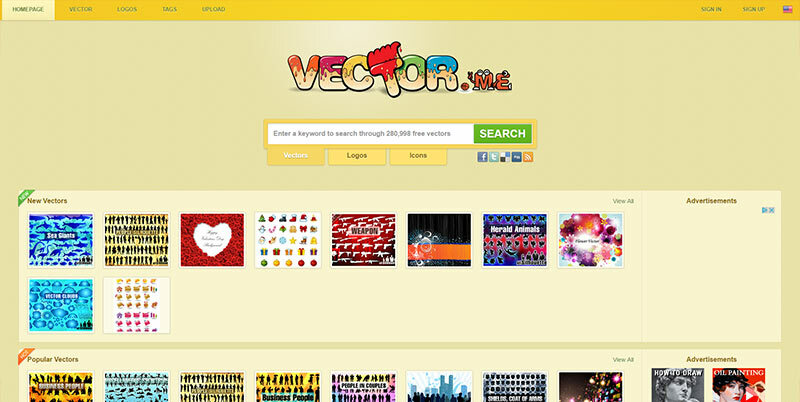 Vector.Me has over 280,000 vector images to search through. It’s packed with great stuff. 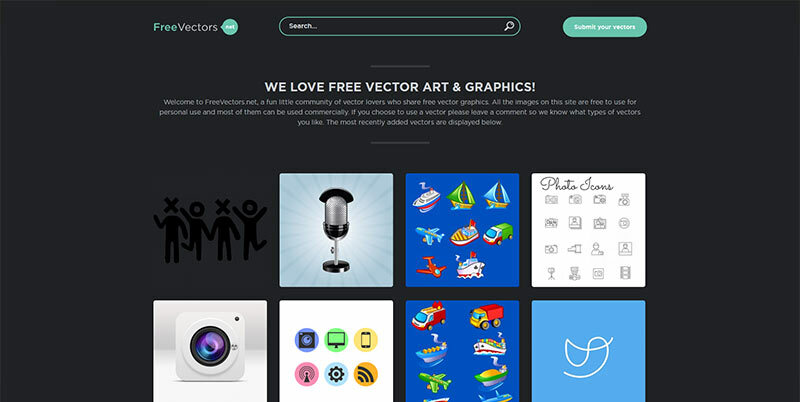 FreeVectors.net is a community of vector-lovers who share free vector graphics. The most recently added vectors are displayed at the top of the page, and all are free for personal use (with most of them free for commercial use). 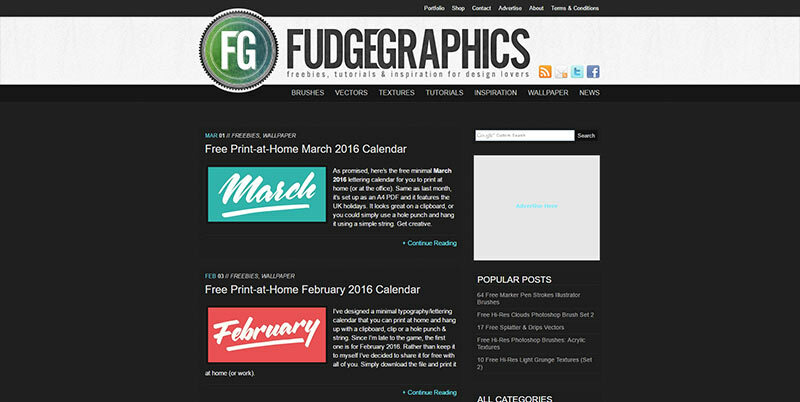 Fudgegraphics does not have a huge selection of freebies like vector stock sites but it does have one of the best free splatter vector files available online. Even thought most of their postings are old, it’s worth checking out. We hope you find this list as a good resource for finding free and usable vector graphics for your station projects. Have you found a good resource for free vector art or photos for your radio station? Please let us know.